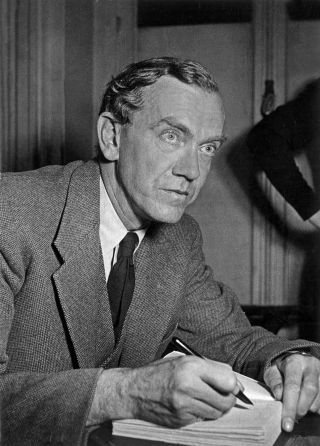 In 1920, a sixteen-year-old Graham Greene decided that, after “104 weeks of monotony, humiliation, and mental pain,” he could no longer remain at Berkhamsted, the prep school where he was enrolled. He fled, leaving behind a note of resignation for his parents—his father was the school’s headmaster—, and was discovered on the heath soon after. The escape proved so troubling to his family that it led to a six-month stint in psychotherapy. It was a fortuitous turn in Greene’s life. He got a break from the school he dreaded and acquired a habit that would prove crucial to his life as a writer: Greene began keeping a dream journal, to help him channel his mental distress in a more productive direction. For anyone familiar with Greene’s prolific output, it’s hard to believe that he could ever suffer from writer’s block. But, in his fifties, that’s precisely what happened—he faced a creative “blockage,” as he called it, that prevented him from seeing the development of a story or even, at times, its start. The dream journal proved to be his savior. Dream journaling was a very special type of writing, Greene believed. No one but you sees your dreams. No one can sue you for libel for writing them down. No one can fact-check you or object to a fanciful turn of events. In the foreword to “A World of My Own,” a selection of dream-journal entries that Greene selected, Yvonne Cloetta, Greene’s mistress of many years, quotes Greene telling a friend, “If one can remember an entire dream, the result is a sense of entertainment sufficiently marked to give one the illusion of being catapulted into a different world . . . . One finds oneself remote from one’s conscious preoccupations.” In that freedom from conscious anxiety, Greene found the freedom to do what he otherwise couldn’t: write. Writer’s block has probably existed since the invention of writing, but the term itself was first introduced into the academic literature in the nineteen-forties, by a psychiatrist named Edmund Bergler. For two decades, Bergler studied writers who suffered from “neurotic inhibitions of productivity,” in an attempt to determine why they were unable to create—and what, if anything, could be done about it. After conducting multiple interviews and spending years with writers suffering from creative problems, he discarded some of the theories that were popular at the time. Blocked writers didn’t “drain themselves dry” by exhausting their supply of inspiration. Nor did they suffer from a lack of external motivation (the “landlord” theory, according to which writing stops the moment the rent is paid). They didn’t lack talent, they weren’t “plain lazy,” and they weren’t simply bored. So what were they? Bergler was trained in the Freudian school of psychoanalysis, and that background informed his approach to the problem. In a 1950 paper called “Does Writer’s Block Exist?,” published in American Imago, a journal founded by Freud in 1939, Bergler argued that a writer is like a psychoanalyst. He “unconsciously tries to solve his inner problems via the sublimatory medium of writing.” A blocked writer is actually blocked psychologically—and the way to “unblock” that writer is through therapy. Solve the personal psychological problem and you remove the blockage. This line of thinking is fine, as far as it goes, but it’s frustratingly vague and full of assumptions. How do you know that writers are using their writing as a means of sublimation? How do you know that all problems stem from a blocked psyche? And what is a blocked psyche, anyway? As it turns out, though, Bergler’s thinking wasn’t far off the mark. In the nineteen-seventies and eighties, the Yale University psychologists Jerome Singer and Michael Barrios tried to gain a more empirically grounded understanding of what it meant to be creatively blocked. They recruited a diverse group of writers—fiction and non-fiction, poetry and prose, print, stage, and screen—some of whom were blocked and some of whom were fine. The blocked writers had to fit a set of pre-determined criteria: they had to present objective proof of their lack of writing progress (affirming, for example, that they had made no progress on their main project) and attest to a subjective feeling of being unable to write. The symptoms had to have lasted for at least three months. Barrios and Singer followed the writers’ progress for a month, interviewing them and asking them to complete close to sixty different psychological tests. They found, unsurprisingly, that blocked writers were unhappy. Symptoms of depression and anxiety, including increased self-criticism and reduced excitement and pride at work, were elevated in the blocked group; symptoms of obsessive-compulsive disorder, such as repetition, self-doubt, procrastination, and perfectionism, also appeared, as did feelings of helplessness and “aversion to solitude”—a major problem, since writing usually requires time alone. Not all unhappy writers were created equal, however. They fell, Barrios and Singer discovered, into four general types. In one group, anxiety and stress dominated; to them, the main impediment to writing was a deep emotional distress that sapped the joy out of writing. In another group, unhappiness expressed itself interpersonally, through anger and irritation at others. A third group was apathetic and disengaged, while a fourth tended to be angry, hostile, and disappointed—their emotions were strongly negative, as opposed to merely sad. These differences would turn out to be consequential. Different kinds of unhappy writers, Barrios and Singer discovered, are blocked differently. There are some experiences that almost all blocked writers have in common. Almost all of them experience flagging motivation; they feel less ambitious and find less joy in writing. They’re also less creative. Barrios and Singer found that blocked individuals showed “low levels of positive and constructive mental imagery”: they were less able to form pictures in their minds, and the pictures they did form were less vivid. They were less likely to daydream in constructive fashion—or to dream, period. The surprise was that these motivational and creative shortfalls expressed themselves differently for the different kinds of unhappy writers. The first, more anxious group felt unmotivated because of excessive self-criticism—nothing they produced was good enough—even though their imaginative capacity remained relatively unimpaired. (That’s not to say that their imaginations were unaffected: although they could still generate images, they tended to ruminate, replaying scenes over and over, unable to move on to something new.) The second, more socially hostile group was unmotivated because they didn’t want their work compared to the work of others. (Not everyone was afraid of criticism; some writers said that they didn’t want to be “object[s] of envy.”) Although their daydreaming capacity was largely intact, they tended to use it to imagine future interactions with others. The third, apathetic group seemed the most creatively blocked. They couldn’t daydream; they lacked originality; and they felt that the “rules” they were subjected to were too constrictive. Their motivation was also all but nonexistent. Finally, the fourth, angry and disappointed group tended to look for external motivation; they were driven by the need for attention and extrinsic reward. They were, Barrios and Singer found, more narcissistic—and that narcissism shaped their work as writers. They didn’t want to share their mental imagery, preferring that it stay private. In one sense, Barrios and Singer’s findings echoed Bergler’s theories. They discovered that many symptoms of writer’s block are the kinds of problems psychiatrists think about. Unhappy writers, it seemed, were unhappy in their own ways, and would require therapies tailored to address their specific emotional issues. Barrios and Singer weren’t psychiatrists, however—they were psychologists. They decided to continue their work by studying the aspect of writer’s block that could be measured experimentally: the vividness and directionality of mental imagery. The duo proposed a simple intervention: exercises in directed mental imagery. While some of the blocked writers met in groups to discuss their difficulties, Barrios and Singer asked others to participate in a systematic protocol designed to walk them through the production of colorful mental images. These writers would sit in a dim, quiet room and contemplate a series of ten prompts asking them to produce and then describe dream-like creations. They might, for example, “visualize” a piece of music, or a specific setting in nature. Afterward, they would visualize something from their current projects, and then generate a “dreamlike experience” based on that project. The intervention lasted two weeks. It proved relatively successful. Writers who’d participated in the intervention improved their ability to get writing done and found themselves more motivated and self-confident. The exercise didn’t cure writer’s block across the board, but it did seem to demonstrate to the creatively stymied that they were still capable of creativity. (Greene’s dream diaries did much the same for him.) In multiple cases, the exercises led, over time, to the alleviation of writer’s block—even in the absence of therapy. Bergler, it seems, was partly right: emotional blockages did exist. But he was wrong to assume that, in order to move past them creatively, writers needed to address their emotional lives. In fact, the process could go the other way. Addressing the creative elements alone appeared to translate into an alleviation of the emotional symptoms that were thought to have caused the block in the first place, decreasing anxiety and increasing self-confidence and motivation. Therapy didn’t unblock creativity; creative training worked as a form of therapy. That, in the end, seems to be the main message of research into writer’s block: It’s useful to escape from external and internal judgment—by writing, for instance, in a dream diary, which you know will never be read—even if it’s only for a brief period. Such escapes allow writers to find comfort in the face of uncertainty; they give writers’ minds the freedom to imagine, even if the things they imagine seem ludicrous, unimportant, and unrelated to any writing project. Greene once had the following dream: I was working one day for a poetry competition and had written one line—‘Beauty makes crime noble’—when I was interrupted by a criticism flung at me from behind by T.S. Eliot. ‘What does that mean? How can crime be noble?’ He had, I noticed, grown a moustache. In real life, having your poetry criticized by T.S. Eliot could cause you to doubt your poetic gifts. But imagining it in a dream has the opposite effect. That dream could become the source for a story. And, at a minimum, it serves as a reminder that, no matter how blocked you may be, you still have the capacity to imagine something new—no matter how small and silly it may seem.